Ready for this Toy Story fans? 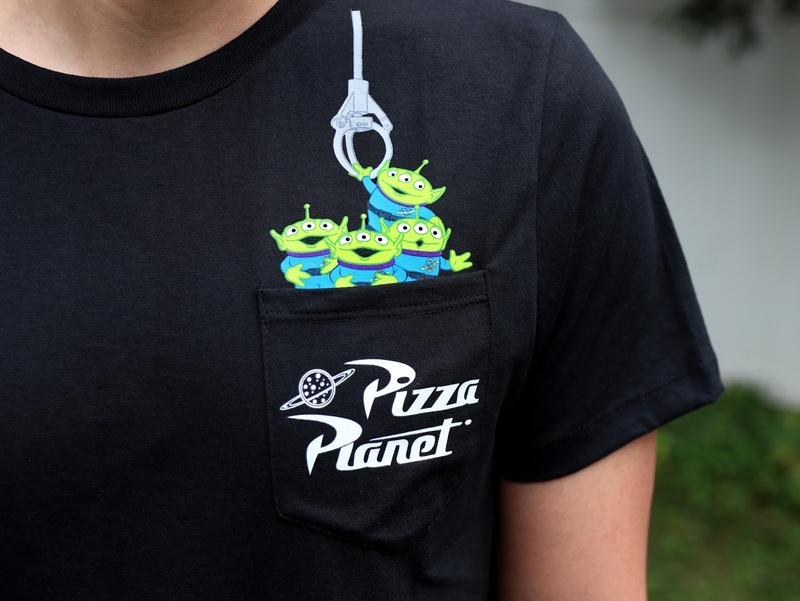 Check out this incredibly cool new men's pocket tee that just hit Target— featuring the iconic Pizza Planet logo and everyone's favorite squeak toy aliens! How awesome right? This design, with the aliens climbing out of the pocket as well as "the claw" coming down as if from out of nowhere, caught my eye like no other while I was browsing Target not too long ago. It was just too good to pass up. I believe this is my first Pixar related pocket style t-shirt, so it's a most welcome addition to my collection. It's simple, relatively subtle and just plain works. This tee is black, though you might remember this same shirt released in navy blue on the BoxLunch Gifts site a little while back (which I missed originally and has long since sold out). It's decently soft and fitted, just how I like it. 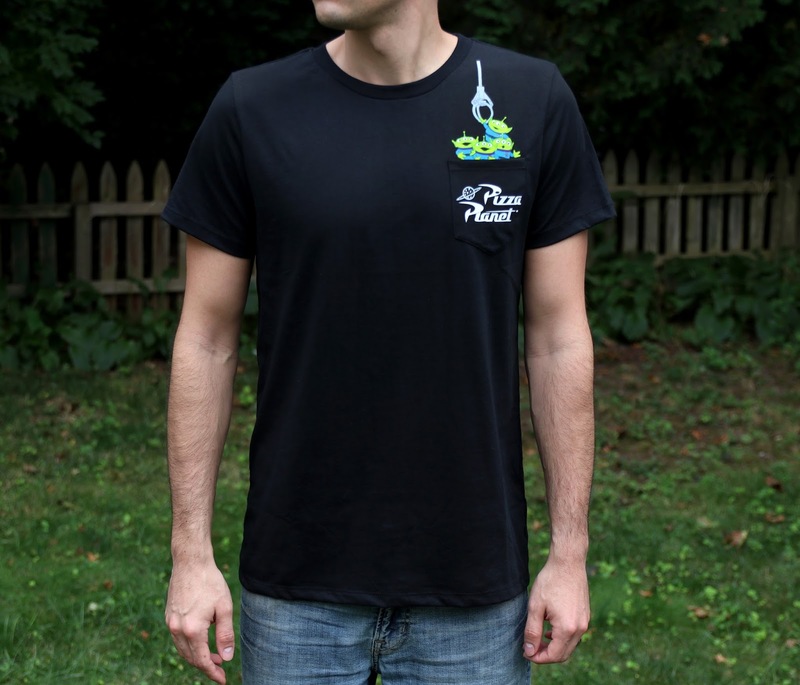 This shirt is made by Fifth Sun, one of my top sources for officially licensed Disney/Pixar tees. Oddly enough though, it's not anywhere to be found on their website. This might have been distributed as a Target exclusive. With that said, head to your local Target ASAP to check for availability! You can always pick it up on Target.com HERE as well. Retail is only $12.99. Note: you might notice some awful reviews for this on Target's website saying it fits weird, it runs small and that it's too thin/see through. Personally, I wouldn't pay any mind to those reviews, but to each his own. As you can see from my photos above, it fits perfectly fine! I don't understand some of the negative feedback this shirt got—but hey. Best to try it out for yourself before buying. I get it's not the softest or the most quality, but it's not bad for 13 bucks. If you're interested, get this shirt while you can!